Loop optimization is the phase after the Intermediate Code Generation. The main intention of this phase is to reduce the number of lines in a program. In any program majority of the time is spent by any program is actually inside the loop for an iterative program. In case of the recursive program a block will be there and the majority of the time will present inside the block. To apply loop optimization we must first detect loops. 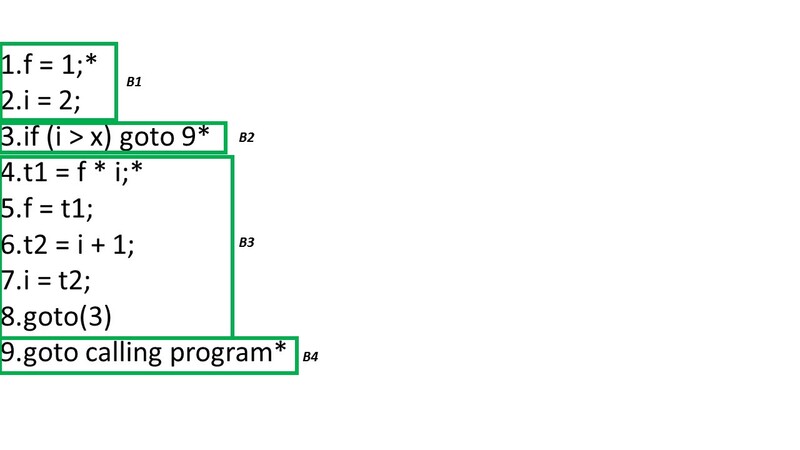 For detecting loops we use Control Flow Analysis(CFA) using Program Flow Graph(PFG). Basic Block – A basic block is a sequence of three address statements where control enters at the beginning and leaves only at the end without any jumps or halts. In order to find the basic blocks, we need to find the leaders in the program. Then a basic block will start from one leader to the next leader but not including the next leader. Which means if you find out that lines no 1 is a leader and line no 15 is the next leader, then the line from 1 to 14 is a basic block, but not including line no 15. If the control enter B1 there is no other option after B1, it has to enter B2. Now, if control enters B2, then depending on the condition control will flow, if the condition is true we are going to line no 9, which means 9 is nothing but B4. But if the condition is a false control goes to next block B3. After B3, there is no condition at all we are direct goes to 3rd statement B2. 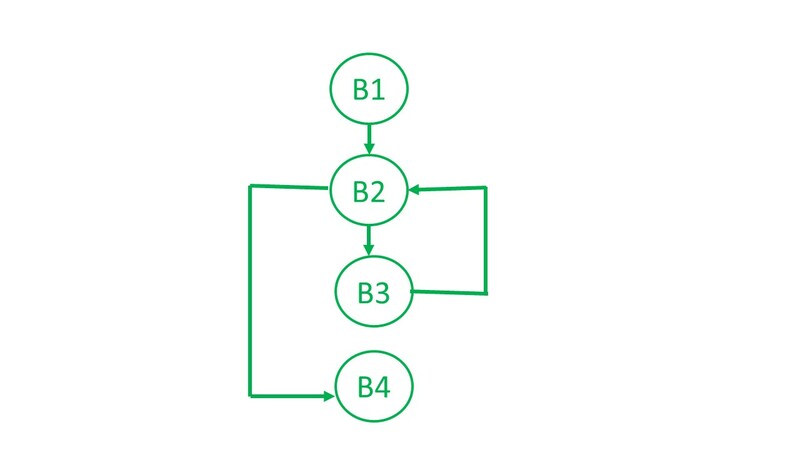 Above control flow graph have a cycle between B2 and B3 which is nothing but a loop.